Traditional Arts, Dance and Music, education. The Institute for Traditional Studies, ITS is looking for a K-8 (folk dance) or 9-12 (adding swing etc.) 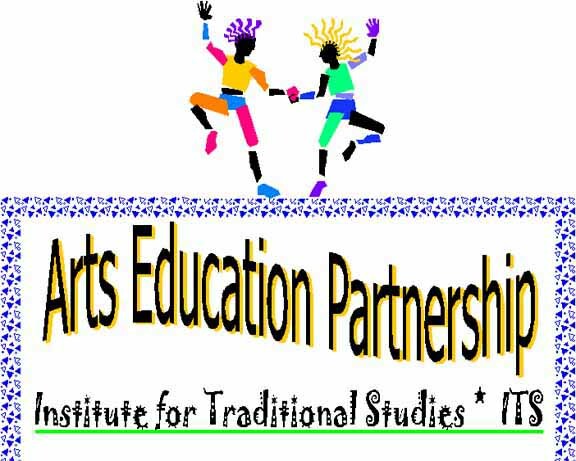 arts partnership school or school district in Mendocino County; Mendocino Coast, Hopland, Ukiah, Boonville, Philo, Redwood and Potter Valley, areas. This project *if funded, will educate youths in specific musical traditions and the cultural context in which those traditions have been developed. *(funding can be difficult as one has to have a partner in place and a plan developed before funding applications are accepted). Dance and music can be a learning tool covering many areas of study, including; cultural history, anthropology, P.E., social studies, geography, math and science. It develops creative thinking, problem solving, leadership, listening and communication skills, which are essential ingredients for success. The participants will develop confidence and self esteem, while playing music and dancing, a joyful activity. We have found the need for dance instruction to be high in California and we would like to incorporate dance and music into the curriculum of the school we are working with. A folkloric dance program could be easily evaluated by having a traditional Spring Festival where parents, teachers, musicians and students could come together and share in this cultural event. We have created a folk dance step book with accompanying audio CD, so the program could be recreated. See "California Folk Dance Traditions Instruction Booklet and CD" . We have many talented artists, musicians and dancers affiliated with our organization so if you or your school has a program in mind and you need an arts organization partner, please feel free to contact us. Contact: Director@InstituteForTraditionalStudies.org or call Deborah 707 937 2133 for more information, and/or to set up a meeting to discuss possibilities of a partnership that will enable funding.